Uterine fibroids are non cancerous growths on the uterus that are extremely common, affecting 3 out of every 4 women at some stage of their life. They can cause heavy or prolonged menstrual bleeding; pelvic pain and they are the most common cause of hysterectomy. Getting adequate vitamin D can help to prevent fibroids from developing in the first place, but it can also help to shrink fibroids that are already present. Vitamin D is manufactured in your skin when you go out into the sun. The sun’s UVB rays convert the cholesterol in your skin into vitamin D. Many people have insufficient vitamin D in their body because they don’t obtain sufficient sun exposure. 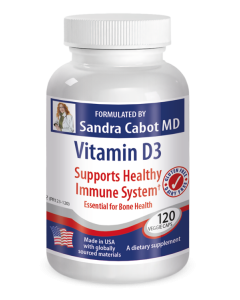 You can ask your doctor for a vitamin D blood test. The hormone estrogen fuels the growth of fibroids, and most women with the condition will have estrogen excess with progesterone deficiency. A natural progesterone cream helps to correct this imbalance.